Found predominantly in the subtropics and tropics, stick insects can make awesome pets, especially for anyone who loves creepy crawlies. They are also great for people who don’t have as much time or space to care for larger animals. Your stick insects will require an enclosure, net-cage or terrarium. 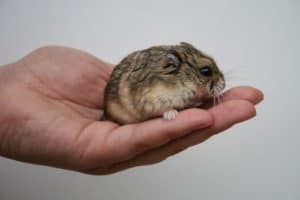 The minimum requirements for the size of your cage should be three times the height of the insect and twice the width. If you decide to look after multiple stick insects, you’ll need to factor this in regarding the size of your cage. Stick insects require all of this space because they use it when they’re moulting. Cover the floor of the enclosure with a substrate that absorbs moisture, like tissue paper, pebbles or potting earth. The tank will need to be cleaned regularly, as stick insects produce a lot of droppings. The enclosure’s roof needs to be made from mesh or netting to ensure that the stick insects can use it to hang from when they are moulting. 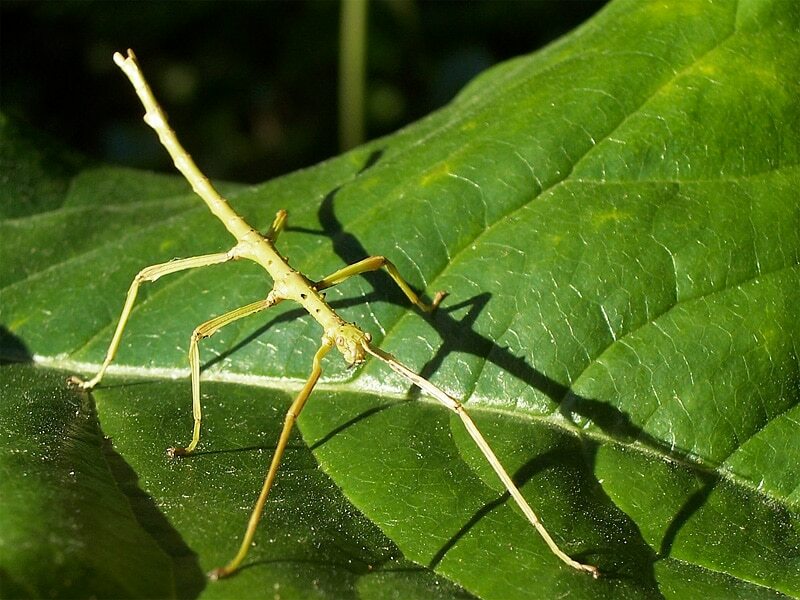 The leaves that your stick insect will eat depend on its species, so make sure you do some research into which species your stick insect is and supply it with the correct food. Stick insects will only eat leaves that are fresh, so to make sure that the leaves you give them are kept fresh, put the branches (with leaves on) in a container with a small amount of water. This helps to keep them tasty for your pets. Again, you will need to do some research into the particular species of your insect to find out what temperature they like to be kept at. 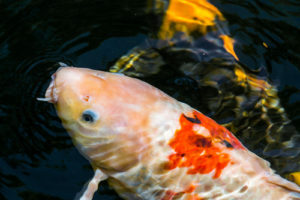 To ensure proper humidity, you will need to spray water into the tank between once a day and once a week, depending on the type of tank and species you have. What happens when a tarantula moults? 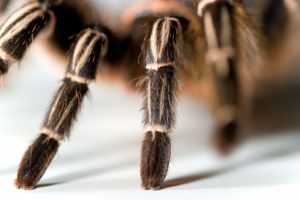 Which tarantulas make good pets? Cockroaches often harbour a negative reputation, being best known as creatures that infest a house, or the only living thing likely to survive a nuclear holocaust (not 100% true). However, did you know cockroaches can also be kept as pets, both on their own and as feeder insects for your reptile? 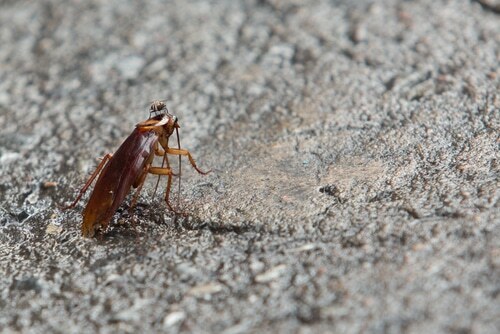 Here’s a quick guide to keeping and maintaining a healthy cockroach colony in your home. Purchase an enclosure which is big enough to house all your cockroaches; a general rule of thumb is to buy a tank which is at least six times bigger than the space the cockroaches will occupy. You also need to know that none of them are going to escape. Cockroaches – especially young ones – are notorious for being able to work their way through small apertures, while some species can fly, so ensure you factor these considerations into your decision making. Provide your cockroaches with an environment that suits them (see below) and plenty of hiding places – use wood, stones or tree bark for this in damp environments and make use of old materials such as egg cartons for dry ones. There are many different species of cockroach, with some living in hot conditions and some preferring the cold (although Antarctica is the only place they’re not naturally found). Do your research on the species you’re planning to house and ensure their environment is the correct heat and humidity. 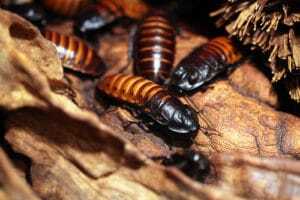 Again, what your cockroach eats will depend on the species, but generally these insects like to eat fruit and vegetables, along with – what sounds to us – less palatable stuff, such as rotting wood, rotting leaves and moistened cat or fish good. When feeding your cockroaches, simply place the food in their enclosure. If they don’t like what you give them, they’ll leave it – ensure you remove this rejected food before it moulds or rots. 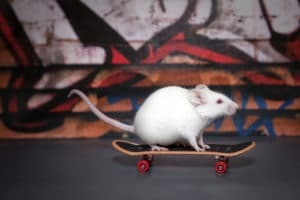 Cockroaches might not be as talkative as a parrot, as cool as a snake, or as energetic as a ferret, but in the correct environment, they can make for a great educational pet. Make sure you research your specific species of tarantula so that you can get them exactly what they need to be comfortable. You won’t necessarily need a large house for your spider, depending on the species. A tank which is too large may actually be a bad idea, as it can make a spider’s prey difficult to find. 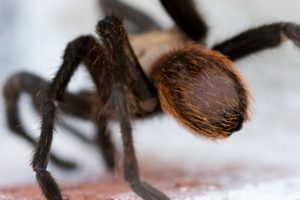 If you have a terrestrial or burrowing tarantula, you should purchase a tank which is around three times the spider’s leg span in length and twice the leg span in width. Aquariums often work well for housing spiders, ranging in size from around a two and a half to a five-gallon tank. Typically, you don’t want a tank that’s too tall as it can be dangerous or even fatal for the spider if it falls. However, arboreal tarantulas will require a tall tank. This is so they have room to climb, and you’ll also need climbing apparatus like branches so the spider can spin its web. Spiders aren’t social animals, so it’s sensible to house your tarantula alone to prevent them from getting agitated. All tanks will require a ventilated lid which has been carefully secured, as tarantulas are very good at escaping. At the bottom of the tank, you’ll need to provide a substrate of vermiculite which is between two and four inches deep. This gives the spider room to burrow. Burrowing types of tarantula will need a specific type of substrate, and all tarantulas will require places to hide in their cage. Your tarantula will need heating pads in their tank. 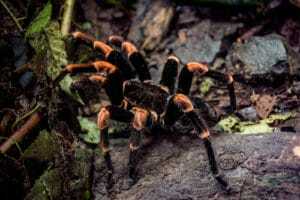 Most species of tarantula prefer the temperature between 75 and 85 degrees. 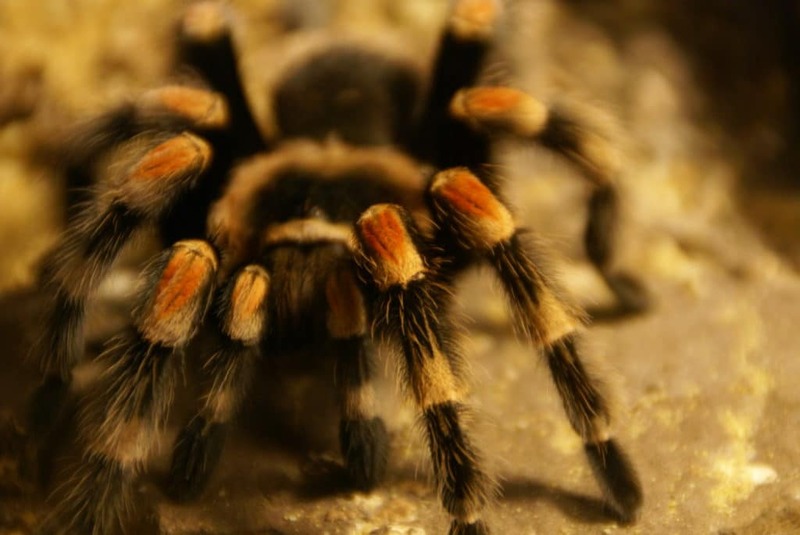 Keep the cage away from windows and overly lit areas of the room, as tarantulas actually prefer darkness.